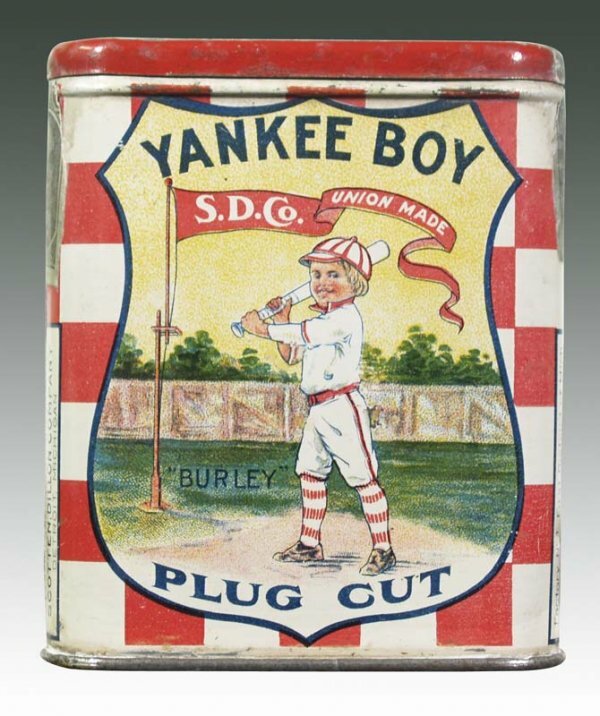 Description: Tin features a shield portait of a young boy playing baseball over a checkered red and white background. Note: This tin can be found with the boy having blond or brunette hair. Brunette is worth slightly more than blond.